A Nemzeti Ossiliński Intézet Pan Tadeusz Múzeuma nemzetközi Visegrád konferenciát szervez, mely lehetőséget teremt tapasztalatcserére és inspirálódásra a múzeumok/művészeti galériák munkájához, egy kevéssé fókuszpontban lévő célcsoport, a három év alatti kisgyermekek és szüleik számára szervezett programok kapcsán. A Petőfi Irodalmi Múzeum részéről Kádár Anna múzeumpedagógus tart előadást a PIM 2018-ban megvalósult, a Károlyi Palota történetét és művészeti értékeit bemutató programsorozatáról, melynek célja, hogy többféle életkor számára is befogadhatóvá és otthonossá tegye a neoklasszicista épület tereit. #MUSEKIDS – MUSEUM NOT ONLY FOR ADULTS! While planning a family weekend, many parents face dilemmas – they are concerned that their kids may get bored at a museum, that they could accidentally damage something or disturb other visitors. They wonder if babies are even allowed at art galleries and museums, or if there's a space to feed them and change nappies, or simply – how one can prepare for such a visit. 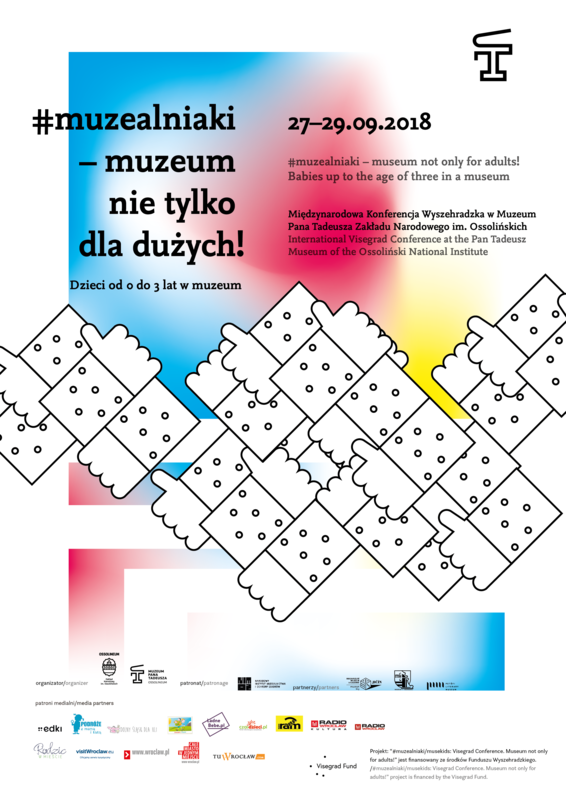 The goal of the #muzealniaki/ #musekids action, initiated by the Pan Tadeusz Museum, is to prove that a visit to a museum or an art gallery can be an exciting adventure for children and parents. A cultural institution often turns out to be a place which positively effects a perception and development of kids. However it still isn’t – for both the staff, who prepare the institutions’ offer, and parents – an obvious place for this purpose. According to organisers, this campaign has potential to move up from a local level to a nationwide and even an international one. A foundation for this might be the international conference for which guests from Poland and the V4 countries (Czech Republic, Slovakia and Hungary) have been invited. The goal of the meeting is a joint analysis of cultural offers available for parents and children in each country and a debate how, in this context, to remove barriers and mutual distrust, which occur at both sides – in visitors and museum employees. Saturday, 29th September 2018, 10.00 a.m.–2.30 p.m. Welcome to the former monastery refectory which today is one of the most glamorous halls at the Ossolineum. Here, in the refectory, you can admire paintings from the monastery times. During the workshop parents will learn more about this unusual place and kids will be able to get dirty, playing a role of young frescoes painters. Centennial Hall has got an unusual history and plenty of secret corners. We invite you to discover them along a special trail, prepared particularly for the youngest: carried, in prams or mincing by their mum’s or dad’s side, holding their hands. The walk contains elements dedicated to the youngest recipients, who will be able to visit Centennial Hall in their own way. A museum threshold might be a barrier (not only physical) for parents with small babies. During the event we will attract interest of people walking along Wrocław Market Square towards Under the Golden House Tenement. We will read parts of Pan Tadeusz, look at illustrations of this national poem drawn throughout centuries and we will check if this book is suitable to read “from the cradle”. A toddler among magnificent objects of art, a kid crawling along museum floor or just sleeping near beautiful paintings. A toddler in a museum includes activities which enable parents and their children experience culture together. Do you like broidering, crocheting or making eco gadgets? Would you like to spend time creatively with your child? We invite you to unique intergenerational workshops, conducted by creative senior women. We will sew, paint and make artistic compositions – decoupage. While we will be working, kids will spend a happy time in the museum playground. A meeting for future and present parents, informal talks on how to safely carry babies in wraps and soft carrycots, advisor’s tips and demonstration on how to tie a baby wrap. BAW! Baby Art Walks are joint walks and visits to the Wroclaw institutions of culture, galleries, museums and meetings with artists or curatorial guided tours through current exhibitions. Art Transparent Foundation invites all parents to encounters with art, joint exhibition touring, discussions on current problems or just to enjoy coffee time and share parental experiences. Are you prone to blue sky thinking? Then you have to take part in a family walk during which we will trace bluesnesses en route from WRO Art Center to the Cyanmeter – the installation in Wrocław public space, inspired by the 18th-century instrument measuring shades of the sky. We will learn some interesting stories about the blue shade as well as how this city installation works. Movement and dance support intimacy of parents and their children, they help to admire the works together. The inspiration for searching for gesture and for building relations in movement will be sculptures, their form, size and material. Dancing in surroundings of museum halls of modern art is a real “museum stir”.